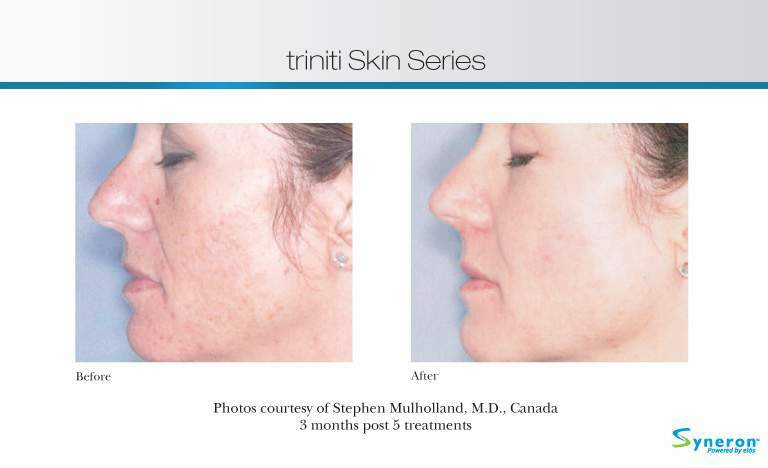 ``All in One!`` Combined skin rejuvenation procedure which improves all the skin problems at the same time and at once during one visit! You can see the first results already in 1 week after the procedure and since the entire procedure is very intensive, the rejuvenating processes will continue for 3 to 5 months. 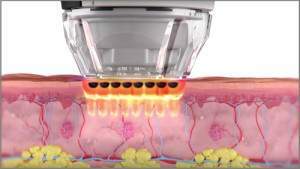 In order to maximize the results it is recommended to perform 1-3 procedures at 4-8 week intervals. To maintain the results we recommend you to repeat the procedure 1-2 times in a year. 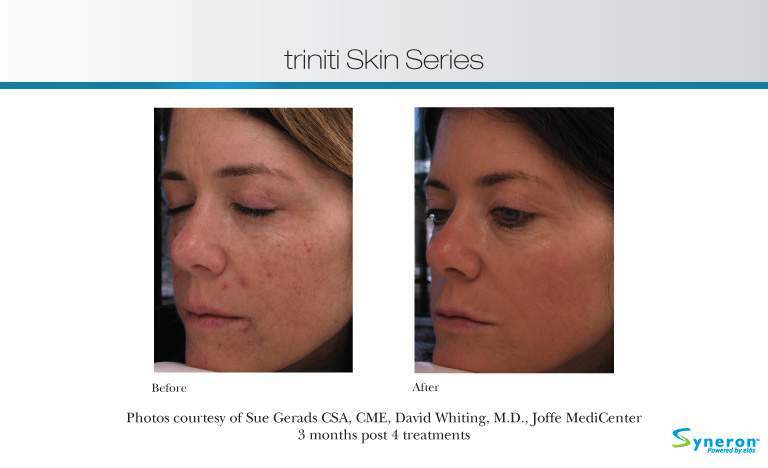 Before the procedure you will have a consultation with a laser specialist who will determine your skin type, test your skin reaction to an energy pulse and examine any possible contraindications to the procedure. 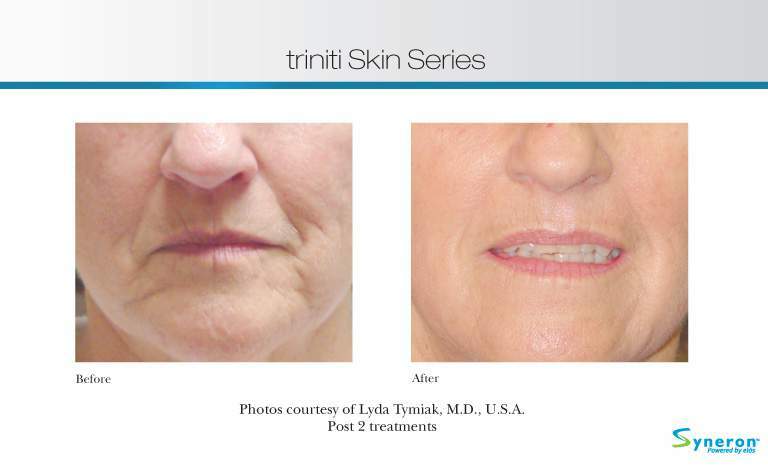 Triniti™ is a total skin rejuvenation procedure which consists of two different treatments performed by two different technologies providing you the simultaneous intensive improving of ALL the signs of aging. 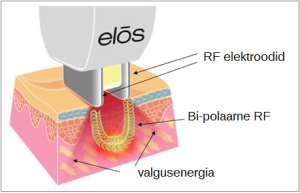 ELOS™ Photorejuvenation – evens the complexion by affecting brown spots and vascular lesions. Vascular lesions coagulate right away and brown spots scale off within 10 days. eMatrix™ Sublative™ – works for wrinkles, scars and loose skin. The procedure is based on a new generation fractionated radio frequency by directing heat energy into deeper layers of skin where old cells are split. 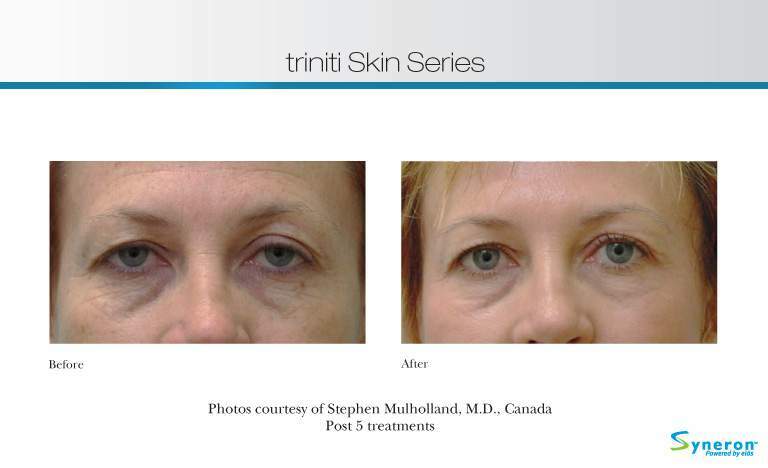 As a result of the activation of surrounding tissue due to heat energy, new collagen and elastin is produced.